There has been an overboard from MSC Seaside and sadly the search for a missing crew member has now been called off by the U.S. Coast Guard. The 37-year-old crew member from the Philippines named Michael M. Majaba went missing from the MSC cruise ship at around 1 AM on Wednesday morning (May 16). He was reportedly seen going overboard the ship from deck 7. As soon as it was known the crew member had gone overboard, a search at sea started including the MSC Seaside, Carnival Glory, and the Motor ship Rose. The other vessels were already in the area. The U.S. Coast Guard was also notified at around 4 AM. Several coast guard assets were launched including two helicopters, a special purpose boat, and a cutter vessel. The overboard from the MSC ship occurred around 8 nautical miles southeast from St. Thomas in the U.S. Virgin Islands. At the time the ship was sailing from the Eastern Caribbean island of St. Marteen towards San Juna, Puerto Rico. 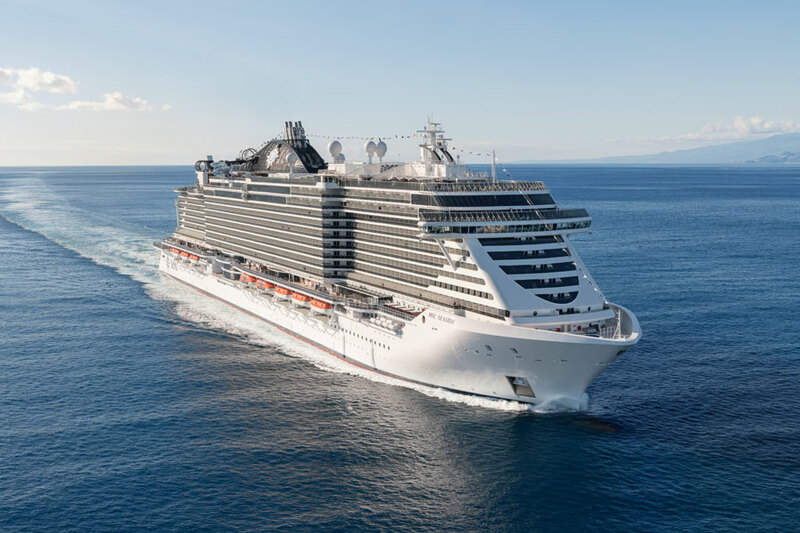 MSC Seaside is ending the 7-night Caribbean voyage as scheduled in her homeport in Miami, Florida on May 19. The next cruise is expected to depart on schedule. It’s never good posting about such a sad event at sea. As Cruise Hive is run by former crew members it’s hard when a crew member goes overboard or missing especially due to the fact that they work so hard and away from their family for so many months at a time. Our thoughts go out to Michael M. Majaba’s family and friends. MSC Seaside is based out of PortMiami and is currently the newest ship in the fleet. She is over 153,000 gross tons and with a guest capacity of over 4,100.